Some recent books by local publishers. Last month, an anonymous poster on reddit.com announced that he was making as much as $1000 a day selling his self-published fiction online. His claim quickly drew hundreds of eager queries — What was his secret? Could he explain his marketing? No one dismissed the story out of hand, because no one really understands electronic publishing yet. It sounds like a get-rich-quick scheme, but a few people have quickly gotten rich. Take the case of Minnesotan Amanda Hocking, who couldn’t get a literary agent but earned $2 million selling her paranormal novels on Amazon.com. If publishing is the Wild West right now, Amazon is the self-appointed sheriff. Ask professionals about the industry and they’ll say they’re troubled by the company’s power. It closed the bookstores (some of them) and now seems to be gunning for the publishers themselves. But the same technology that allowed Amazon to grow into a behemoth also offers new opportunities for small businesses and individuals. 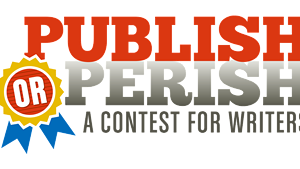 Readers and writers are exploring the wild frontier of publishing, and a gold rush is on. Besides the internet, two key innovations have democratized publishing: the electronic reader, which makes it possible to sell books as streams of data readable on various devices (even smartphones); and print on demand (POD), which permits companies to print books as they sell, rather than doing large runs and hoping for the best. Traditionally, publishers market books and get them on store shelves. What are they doing now? 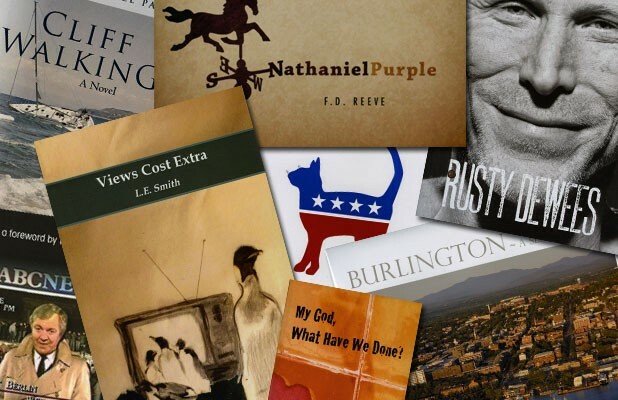 We spoke with owners of three Vermont publishing companies that have launched or greatly expanded their efforts in the last few years. All of them have gotten into the business for different reasons, and some have seen more profit than others. But they all agree that advances in technology — and the decline of traditional publishers — have made it possible for them to experiment with new ways of bringing books into the world. Writer Marc Estrin and his wife, Donna Bister, haven’t turned a profit from Fomite Press, their literary publishing venture, and they don’t intend to. The Burlington couple see Fomite as an extension of their political activism. “Occupy publishing,” Estrin calls it. Estrin’s 10 novels and a nonfiction book have all been released by traditional publishers. But he argues that publishers have become too focused on the bottom line. “The whole idea of nourishing American literature is not part of the equation of the MBAs,” he complains. So he and Bister decided to take up the cause themselves. They launched Fomite Press in March 2011. Their first book was The Co-Conspirator’s Tale, a novel by Ron Jacobs. Estrin edited it, and Bister used Amazon’s self-publishing tool, CreateSpace, to design and produce the book. They avoided a pricey print run by using POD. Since then, they’ve published 15 more volumes and have another eight in the pipeline. Most are novels, short-story collections and books of poetry. The only criterion for acceptance? “I have to like it,” quips Estrin. All of their titles are available through the Fomite website, on Amazon.com or by special order from bookstores; Crow Bookshop in Burlington stocks copies. By the end of the year, Bister and Estrin hope to offer e-books, as well. Bister, who has a day job overseeing the federal Women, Infants and Children program for the Vermont Department of Health, estimates that they’ve sold a total of 300 books so far — not a huge number, but not bad for a few months’ work. And it hasn’t cost them much. Bister estimates that they can turn a manuscript into a print-ready book for about $75. That doesn’t include Estrin and Bister’s time, which is donated. Each book costs an additional $2 to $4 to produce once it’s ordered. Still, Fomite authors get a good deal. They keep 80 percent of the profits — or what’s left over after printing costs and distributor fees have been taken out. That can total several dollars per book for a $15 novel. But Estrin says he’s unlikely to publish his own works through Fomite as long as he has another publisher. After all, it’s nice to have someone else approve of your work and shepherd it through the production process. It’s a service he’s excited to provide to other writers he admires. “I’m trying to find a new paradigm,” Estrin says. The book division at Wind Ridge Publishing grew out of the Shelburne company’s other activities — publishing the weekly Shelburne News and Charlotte Citizen, as well as a monthly tourist magazine, Destination Vermont. OK, maybe not that amazing — the Champlain Valley attracts its share of well-traveled and well-to-do retirees, many of them apparently eager to chronicle their lives. Wind Ridge’s newest releases, for example, include There and Back, commentaries from former ABC News correspondent and Charlotte resident Barrie Dunsmore; and 82 Remsen Street, a memoir about growing up in Brooklyn Heights in the 1930s and ’40s by Burlington therapist Alice Davidson Outwater. Wind Ridge uses its ready stable of editors and designers to package its books. “Everybody pretty much multitasks,” says Johnson. 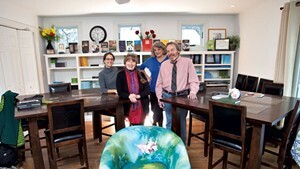 The company invests in a print run of 1000 to 1500 copies of each of its titles and distributes them through University Press of New England, then sells the books through local bookstores and on its website, as well as on Amazon.com. Kathy Howard, Wind Ridge’s director of publications, says e-books are on the way in the next few months. There are other outlets, too — Shelburne Farms sold copies of Neagley’s book, for example. Once Wind Ridge has paid off its printing expenses, the company donates a portion of the profits to the author’s favorite charity, and shares the rest with the author. Johnson admits that none of the books has sold enough for that arrangement to kick in yet. For now, Wind Ridge’s book division is more of a community service. But both Howard and Johnson are optimistic about creating a sustainable business model. Howard suggests that some authors might be willing to pay Wind Ridge for its publishing services. And she sees an opening for books that showcase Vermont, such as Wind Ridge’s 2011 release Burlington: A Sense of Place, a book of photographs by Shelburne resident Paul O. Boisvert. “We’ve really learned a lot in the past year,” she says. Neil Raphel, acquisitions editor at Brigantine Media, loves literature and once owned a bookstore. But business is in his blood — his father, Murray Raphel, was a retailer who became a motivational speaker and direct-marketing consultant. He wrote 11 books and founded the marketing firm that owns Brigantine Media. Neil joined New Jersey-based Raphel Marketing in 1989. Ten years later, he and his wife, Janis Raye, moved to St. Johnsbury. Today they provide website design as well as direct-marketing and publishing services in New Jersey and Vermont. Raphel Marketing has been publishing business books for years, but in 2009, Neil Raphel and Raye consolidated the catalog under the imprint Brigantine Media. Brigantine specializes in packaging practical books by CEOs and business leaders. Its catalog includes titles such as Win the Customer, Not the Argument; and A Friendly Life, the autobiography of S. Prestley Blake, founder of Friendly’s restaurants. Brigantine pays for a print run of 2500 books for these titles. Most of them aren’t sold in stores — they’re available directly from the publisher, at conferences where the authors are speaking, online or as e-books. Raphel encourages authors to generate sales by splitting the profits and the expenses. This year they had an opportunity to publish Power Reading Workshop by Laura Candler, whom Raphel describes as “the Oprah Winfrey of elementary school teachers.” Candler’s book is selling well, he says, because she’s doing email and web marketing to her own list of fans. Brigantine has also started experimenting with fiction. Its 2011 releases include The Secret Room, a young-adult novel by Waterford author and bookseller Beth Kanell; and Nathaniel Purple, a novel by F.D. Reeve, a Wilmington novelist and poet whom Kanell recommended. Raphel and Raye’s daughter, Adrienne, who is currently an MFA student in the Iowa Writers’ Workshop, is their fiction editor. While Raphel calls Nathaniel Purple “a tremendous book,” chances are Brigantine will sell more copies of PKP for President, a new novel by New Hampshire author Beth Hilgartner about a cat that runs for the nation’s highest office. Raphel and Raye are masterminding a social-media campaign for the cat, including a Facebook page. Raphel says they’re hoping that national exposure during the run-up to the New Hampshire primary will “cat”-apult the book into the spotlight and spur sales. “We’re having fun with it,” he says. Lots of Vermonters, in all different ways. Four of them shared their stories — and their sales figures — with us. Books: Scrawlins (2007) and Scrawlins Too (2011), essay and column collections. Format: print only. DeWees works with printers through Sterling Hill Productions, a Waterbury book packager; he designs covers himself. Sales: For Scrawlins Too, DeWees did a print run of 2000 hardbacks. Since August, he’s sold about 1650 at $24.95 each. Scrawlins has sold about 5500 copies total. “I’ve made my money and then some,” DeWees says. Formats: Paperback (both) and e-book for Kindle (Vol. 1). Price doesn’t do POD: “The quality is not good enough for me,” she says. Sales: Slightly more than 10,000 copies total (both books) at $19.95 each, with “virtually no sales through Kindle.” Thanks to reports from local booksellers, Vermont Wild has twice been written up as a success story in Publishers Weekly. Marketing: Like DeWees, Price is a one-person marketing campaign. She describes the book’s target demo as “9 to 99” and extols its power to get schoolkids and seniors reading. Besides indie booksellers, Price puts Vermont Wild in “mom-and-pop corner stores” — “The Jiffy Mart in New Haven alone has sold 300 books,” she notes. In other words, whatever she’s doing, it’s working. Book: Cliff Walking (2011), a love story involving a seascape artist and a woman fleeing an abusive spouse, set on the Maine coast. Formats: print (POD through CreateSpace) and Kindle e-book. Sales: In the three months since he published, Payne has sold about 600 paperbacks at $14.95 each and 55 e-books at $4.99 each. The paperback price “leaves very little margin” and may need to rise in the future, he says. A portion of the proceeds goes to Prevent Child Abuse Vermont. Marketing: A careful student of marketing, Payne has used local media, indie booksellers and Facebook to get the word out. “Novels are largely recommended by word of mouth, primarily by women,” he notes. It doesn’t hurt that he has a public profile as a practicing St. Albans surgeon, or that the book carries glowing blurbs from Vermont novelist Howard Frank Mosher and other respected writers. Book: A Little Magic, a young-adult fantasy about a stepdancer and a fairy prince, published in October. Formats: E-book only, in Kindle, Nook and other formats. Gillen plans to use CreateSpace to print some copies. Sales: Six downloads at $2.99 each. On Amazon.com, Gillen keeps 70 percent of her sales. Since the cost of producing an e-book is negligible (though she did spring for professional cover design), she has nothing to lose. “One good thing is that the book is up there forever, as long as you don’t take it down,” Gillen says, “so your sales can always increase.” Her friend and mentor, Jeanne Miller of Burlington, has sold slightly more than 100 downloads since her book The Pet Psychic Diaries debuted online last January. Marketing: For fiction writers seeking a national audience, book bloggers are key. Gillen has been visiting blogs and giving away review copies, hoping for sales-boosting Amazon reviews. She’s also considering paid online advertising.